Meet the Pupple system: an AI-enabled pet toy that lets you train your dog and keep her active. 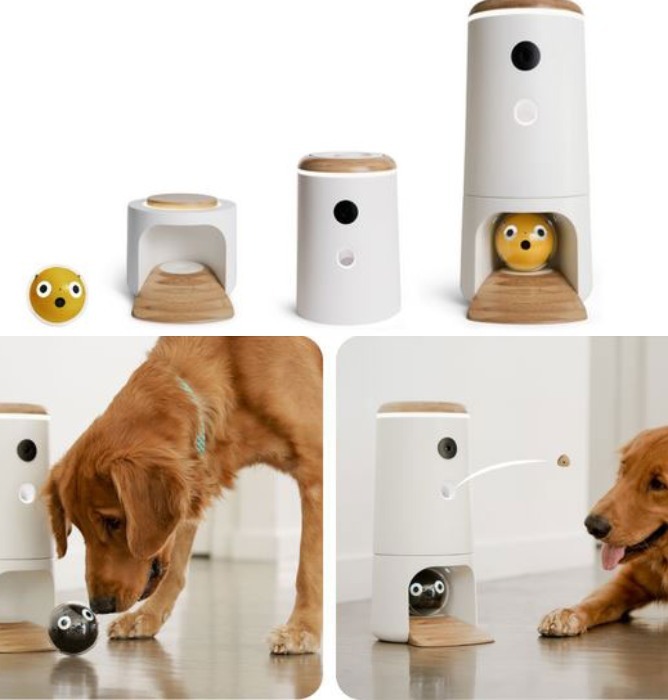 It consists of a wireless base, treat house with WiFi control, and a robotic ball with a built-in camera. You will be able to play with your pet from anywhere in the world, livestream and record video, and even talk with your pet. The Pupple is compatible with Alexa, Google Home, and Apple Watch. It has a modular, waterproof, and chew proof design. The TreatHouse can play your pre-recorded messages. It has 3 mounting options.